Preheat oven to 425º F. Combine 4 Tbsp of salt with the chili powder and rub over the pork tenderloins. Meanwhile, in a large skillet, melt the remaining 3 Tbsp of butter. Add in the lima beans and cook for 5 minutes. Add the corn and apples and cook for 2 minutes more; season to taste with salt and pepper. Remove the pork from the oven and let rest for 5 minutes before slicing. 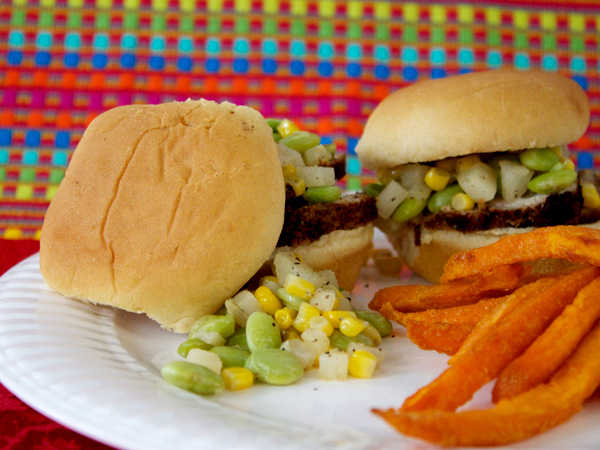 Serve sliced pork, topped with succotash, on slider buns. *When cooking meat, be sure to cook throughly before consuming, checking the internal temperature with a thermometer.